Most would agree that 2016 had its ups and downs. From a personal point of view, it will be remembered as the year my friend Harriet died. 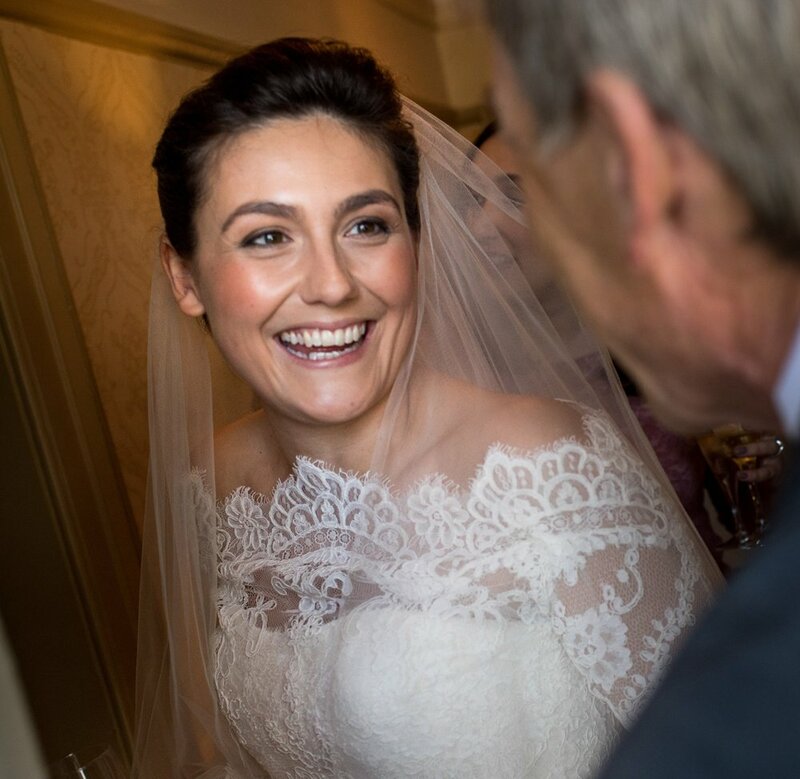 She was newly married and expecting her first baby when she was diagnosed with advanced bowel cancer. She died just six months later, on 3rd March 2016. She was a gorgeous, vivacious girl; what a huge hole she’s left in the lives of all who knew and loved her. Harriet was spirited, adventurous and never let anything get in her way. When she died, a friend remarked she was someone who lived wide, not long. It’s been amazing to see how many people have been inspired to do all sorts of things in her memory. I found myself turning over the idea of doing some kind of literary walk. Harriet and I met studying English literature at university and a shared love of books was one of the foundations of our friendship. Before Harriet became ill, we went to a talk on polar explorers at the Frontline Club and laughed afterwards about the way the panellists kept referring patronisingly to 'lady adventurers'. Afterwards, we exchanged pictures of Gertrude Bell, Freya Stark and other inspirational women. Later, when I read Robert Macfarlane’s beautiful essay, The Gifts of Reading – which is about friendship, gifting books (Patrick Leigh Fermor’s A Time of Gifts particularly) and the cathartic power of walking – a plan crystallised in my mind to go on an adventure Harriet would have loved. On Monday 1st May 2017, I embarked on a 600-mile journey across Europe. My route followed the first leg of Paddy Leigh Fermor's epic 1933 journey, from the Hook of Holland to Budapest, written up in A Time of Gifts. Paddy was 18 and had no deadline; I’m in my thirties, have a history of back problems and only had three weeks to do this first stint. However, in that time, I made a literary pilgrimage of my own, on a shoestring of my own, travelling between Rotterdam – Nijmegen, Cologne – Bingen and Vienna – Budapest. I walked around 140 miles, crossing five countries: the Netherlands, Germany, Austria, Slovakia and Hungary. In September 2017, I returned to walk on from Ezstergom to Budapest and in October 2018, travelled between Albertirsa, Cegled, Debrecen and Budapest - having learnt to ride in order to experience a little of the Great Hungarian Plain on horseback. I plan to walk a little bit of the route each year in her memory, eventually ending in Istanbul. Why am I doing this? I'm trying to raise awareness for Never Too Young, Bowel Cancer UK's campaign for those under 50. I'm also doing it to spread the message of Harriet's joie de vivre, and how it's inspired me to walk into an adventure of my own. Can you help me? This isn’t just a plea for donations. Instead, in the sociable spirit of both Paddy LEIGH FERMOR and Harriet, I want to meet as many people as I can along the way. on my first trip, I BEGGED bed and board from KIND STRANGERS WHO were willing to put me up for a night. If you can help ME ON THE NEXT LEG OF MY JOURNEY (see how to help), PLEASE GET IN TOUCH! It is almost impossible to sum up a person in words, let alone a beloved friend. But here are some facts: Harriet was 32 when she died. She was married for less than a year. She was one of my best friends. Harriet was - clichés aside - the life and soul of the party, gregarious and a consummate storyteller. She could spin a story into several yarns, each becoming more hilarious and outrageous. She would have found a kindred spirit in Paddy Leigh Fermor. I've mentioned already the last time we saw each other, at a talk on polar explorers. Thinking back, I reckon it summed up our friendship: everything was an adventure with Harriet. My life changed irrevocably after meeting her in our first year at university. I'd found a partner-in-crime and everything after that moment on - from our final year at Newcastle to our first London flat, dreadful first jobs (we cried every night when we got home, pretty much) to the highs and lows of our love lives, our annual 'surprise birthday outing' (hers often to a Jack the Ripper or Tudor-themed venue), shared love of books and gossiping over a midweek curry - was an adventure, full of laughter and usually with a great story to regale later on. Someone told me a phrase about living wide, rather than long, and I think Harriet did that. Harriet married Richie in April 2015. It was quite honestly the happiest day of her life. She is buried in a beautiful walled garden in the grounds of the church where their wedding took place. The epitaph on her gravestone is taken from George Eliot's Middlemarch: "the effect of her being on those around her was incalculably diffusive." My life was incredibly rich having her in it, and it's the gift of her infectious spirit and joie de vivre that I will carry with me for the rest of my life. I'm Katy, a 36-year-old bibliophile living and working in London. Let's get one thing straight: whilst I like a walk, I am not sporty. It was with a certain amount of trepidation that I embarked on this journey. Losing somebody close makes you re-evaluate your own life. Since Harriet's death, I've changed my job, set up a club I'd been talking about for years, and am now undertaking a personal challenge that will take me out of my comfort zone regularly over the next few years. Perhaps this is not completely out of the blue. I have always had a taste for adventure and a love of travel literature. And as for Paddy - I first came across him in my teens, when I was given a copy of his only novel, The Violins of Saint-Jacques. I loved the book and later, when I read about his friendship with Deborah Mitford, I knew this was someone whose company I'd like to keep. I'd urge anyone reading this to order a copy of A Time of Gifts. It is a life-affirming story about old Europe, about the kindness of strangers and the joy of setting out into the unknown. For those who find his style too flowery (I don't, but I know others do), try Nick Hunt's brilliant 2014 account of following Paddy's route, Walking the Woods and the Water. 2,500 younger people are diagnosed with bowel cancer in the UK every year. While this is only 5% of those diagnosed, this number is slowly increasing. Research by Bowel Cancer UK has shown that younger bowel cancer patients have a very different experience of diagnosis, treatment and care. For Harriet, the diagnosis came too late. I want to raise awareness of this disease with other people of my generation, so that another life isn't cut short. Find out about the Never Too Young campaign here. I have set up a fundraising page through JustGiving to support Bowel Cancer UK's research.